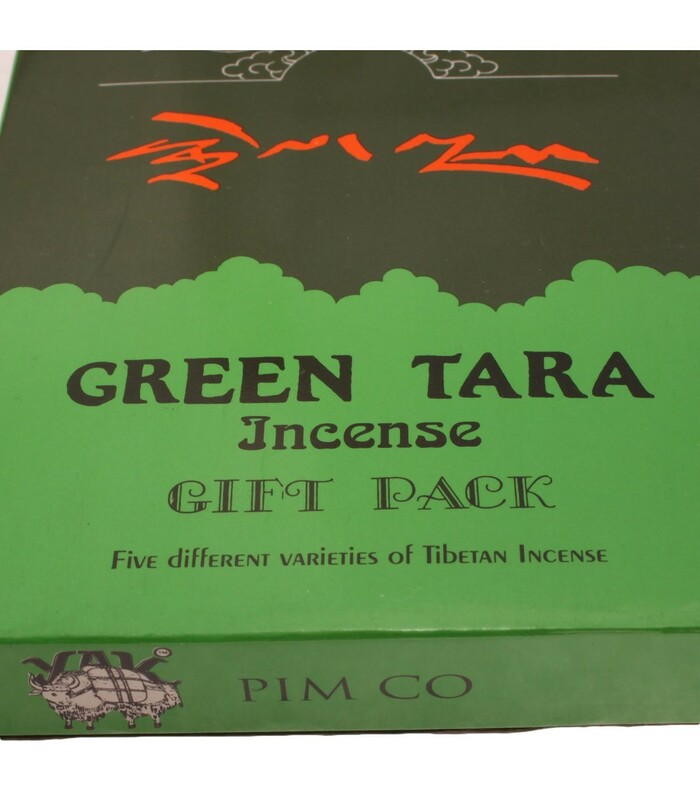 Green Tara gift pack Tibetan incense is purely hand prepared from highly flavoured medicinal herbs and other precious substances. The combination of genuine scented substances makes the incense richer and superior quality than other incenses. 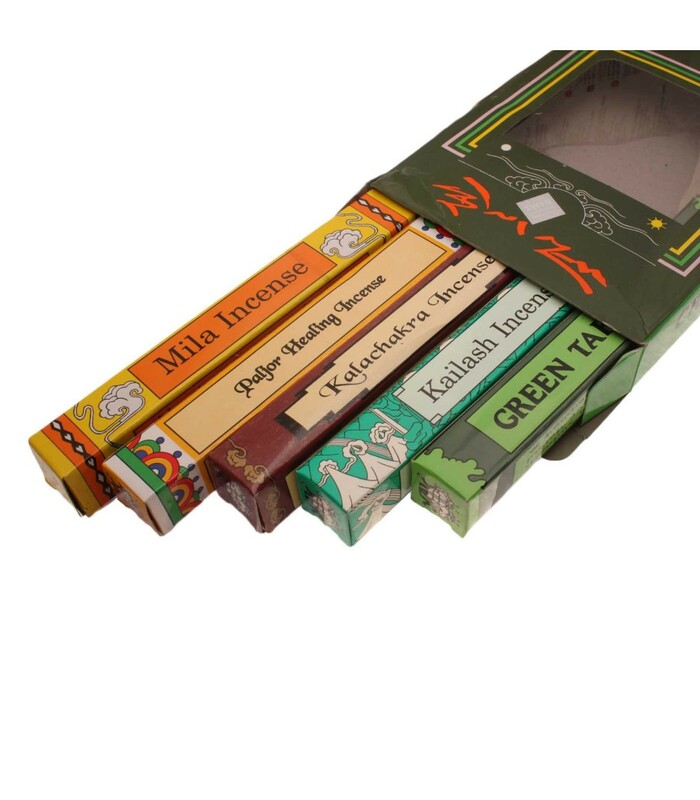 Our incense is totally absent of choking and camphor smell and is also non-toxic and non-habit forming. 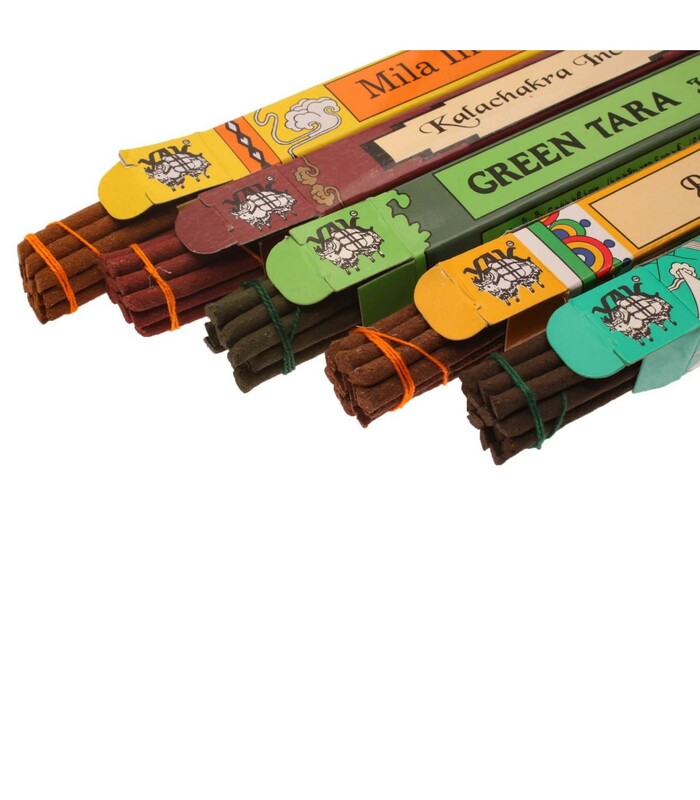 Generally the Tibetan Incense is used for Puja offering and purification, but it is also used as air freshener which keeps one’s surrounding flavoured with good scent. 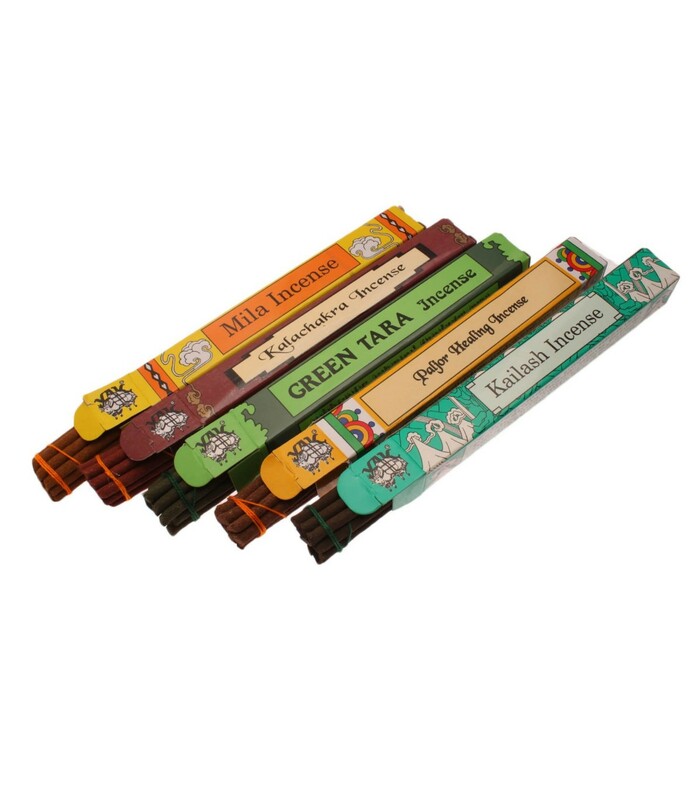 It has five different incense stick in one pack; Kalachakra , Mila, Kailash, Green tara and paljor healing.